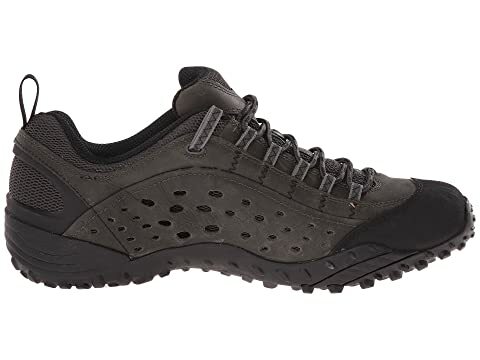 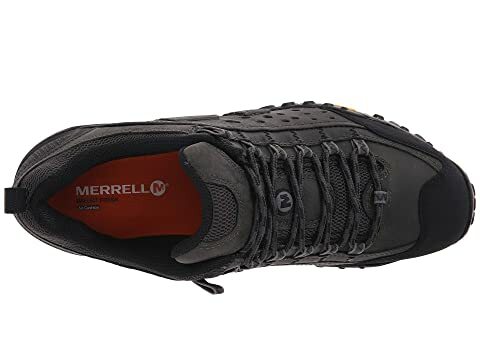 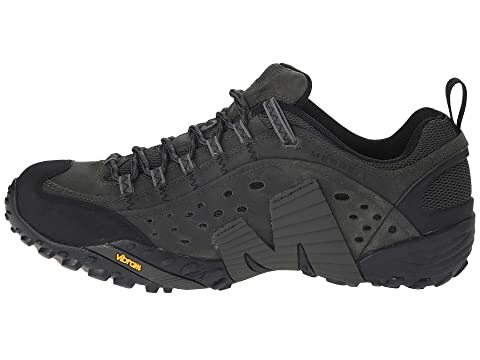 The 'Intercept' lace-up from Merrell® is a multi-sport shoe with a sculpted low cut and molded protection. 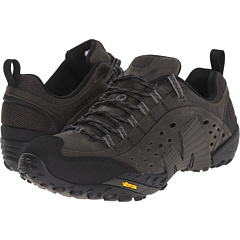 Pigskin leather and nubuck upper with a breathable padded tongue. 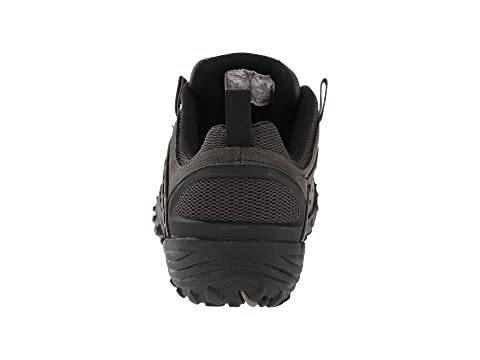 Polyester mesh lining treated with Aegis™ antimicrobial lining to keep your feet healthy and odor free. 4.5mm anatomical footbed with In-Board™ compression-molded EVA footframe and nylon 6.6 injection-molded arch shank. 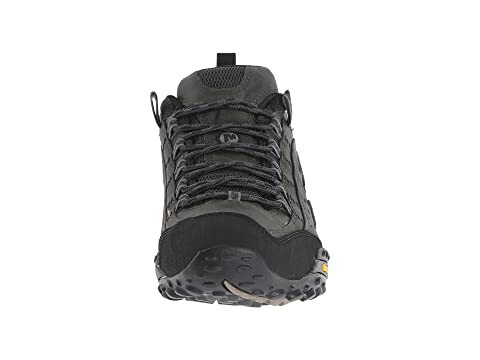 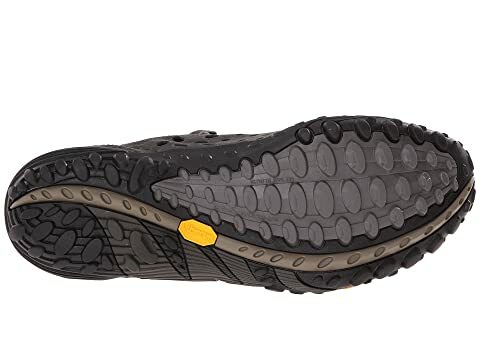 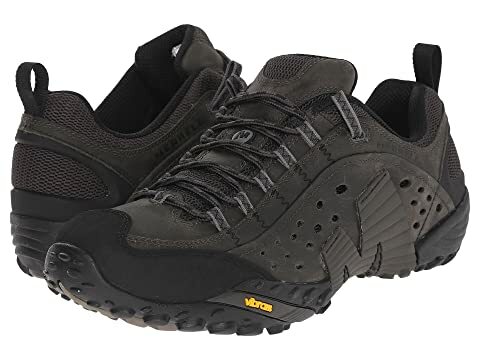 Merrell® Air Cushion® midsole and Axis Vibram™ sticky rubber outsole with 4.5mm lug depth.